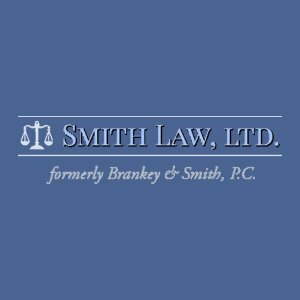 Description: Smith Law, Ltd provide personal injury, worker compensation, medical malpractice, defective product cases, dog bites, motorcycle accidents, slip and fall injury lawyer service to the Charleston IL, Mattoon IL and Effingham, IL area. All cases begin with a FREE, no-obligation consultation. We Work on a Contingency Basis. We are local firm dedicated to providing high quality, assertive legal assistance in your time of need. We are ready to help you. FREE Initial Consultation. If you need legal counsel, call us at 217-345-6222 or 800-232-1325. You can drop a mail at rsmith@brankeysmithpc.com for more information.